In an exclusive chapter from her new book 'The Psychology of Addiction' – part of the Routledge series 'The Psychology of Everything' – Jenny Svanberg considers addiction and recovery. If we can learn our way into addiction, can we learn our way out again? If the brain changes as addiction develops, forming those neural pathways that deepen with repetition and are difficult to climb out of, then can we develop new behaviours? Form new pathways? In order to work out how to do this, we need to understand recovery. This chapter and the next will look at how we can encourage recovery from addictive behaviours, from both individual and group perspectives. Is it all just about growth and learning? The psychologist Scott Kellogg suggests that rather than recovery, we are talking about liberation. Addiction traps and enslaves us, narrowing and focusing our minds and lives, so expanding and opening up again is about empowerment and freedom (Kellogg, 2016). A revolution has been taking place in the way that mental illness and addiction are understood, driven by those who have rejected the labels and stigma arising from moral and medical models of psychological distress and addictive behaviour. Psychiatric diagnoses are useful in providing a common language for understanding confusing symptoms, and providing access to benefits and services. However, they reduce the complexity of human experience and distress to simple categories, and lull us into a false sense of security, suggesting that complexity can be treated with simple algorithms. With each iteration of the diagnostic manuals, more and more examples of distress are gathered into the net of ‘mental illness’. However, we are yet to find a ‘biological basis for schizophrenia’, just as we are yet to find a ‘biological basis for addiction’, beyond the variable influence of multiple genes. ‘Survivor’ and user groups have defined a new approach to recovery, which incorporates the need to find hope for the future, to develop resilience, to find a sense of connection to others and your community, and as a result, to forge a stronger and more empowered identity. They question how much the loss of these things is driven by the medicalisation of their difficulties, and the encouragement to be passive recipients of treatment, as outlined in Chapter 1. Recovery from addictive behaviours means different things to different people, so the UK Drug Policy Commission Recovery Consensus Group developed the following definition: “the process of recovery from problematic substance use is characterised by voluntary sustained control over substance use which maximises health, wellbeing and participation in the rights, roles and responsibilities of society” (UKDPC, 2008). Although this is specific to substance use, it could apply just as well for other addictive behaviours. Recovery isn’t just about changing the addictive behaviour; it’s about learning how to live differently. Just as we learn helplessness, we can learn optimism (Seligman, 2002), and the hope surrounding people in recovery is contagious. But addicts are all in denial! How can we help someone if they don't want help? There is a story that paints people with addictions as ‘resistant to change’, or ‘in denial’; their heads in the sand about problems that seem huge and apparent to the people around them. To the friends and family of the person with addiction, denial might seem obvious. ‘He just can’t see it. . . . she’s ignoring the debt. . . . he’s not opening his letters any more . . . she just won’t listen’. This has been seen as inherent to the addiction, when actually it is part of someone defending themselves against a perceived attack on the very essence of who they are, or want to be. Perhaps a better way of understanding it is in terms of a ‘cognitive bias’, or the way we selectively attend to information that confirms our existing beliefs. If there are things that seem inconsistent with truths that any of us hold dear, or if those truths challenge us in ways that we might not be ready to accept, we basically just ignore them. We all do this to some extent. Denial and resistance aren’t static states, or to do with a particular individual, but are processes that emerge from the interpersonal dynamics in a relationship. The more directly challenged someone feels, the more likely they will resist the challenge. The more they feel that someone is standing alongside them without judging, the more likely they are to express their own doubts and concerns about the situation. It’s both about how the message is relayed, and how ready the person is to hear it. Does it matter if we call it denial or a cognitive bias? It does, only because of the extra negativity given to the term ‘denial’ in addiction, and the lack of recognition that this is an aspect of our normal defence against distress and inconsistencies in our personal stories. It is also important because beliefs about denial in addiction have led to punitive interventions seeking to ‘break through’ the denial and confront people with the consequences of their behaviour. It is true that priorities shift during addiction, and people often act in ways that they later regret, but it is notable that the deception and lying associated with addiction often disappear when someone knows they will not face punishment or judgement. The deception may be more a product of the punishment than the addiction. However, as Maia Szalavitz has pointed out, punishing people for a problem defined by its resistance to punishment is a task doomed to failure (2016). Think of it like this. You’re feeling out of control and ashamed because you know that your relationship with food/alcohol/cocaine is unhealthy. But you also know that if you didn’t binge/use you would have to face the anxiety/trauma/feelings of inadequacy which also made you feel ashamed and isolated. In this instance, someone telling you that your behaviour is wrong is likely to increase your shame, and therefore inadvertently reinforce the problem. You are more likely to resist them, ignore them or even attack them, if it feels like they are threatening something very private and personal to you. It is difficult to accept the reality of a situation we don’t like, particularly if we feel ashamed and guilty about it, if there are underlying needs that we haven’t admitted or accepted, and if we are afraid of giving up something that feels like a lifeline even if we know it’s bad for us. However, all of these fears can be overcome in the context of a supportive and non-judgemental relationship which offers hope and acceptance. We need to assume that people have very good reasons for persisting in behaviours that, to us, seem harmful and destructive, and we just need to find them. How would they feel if they gave up the behaviour? What if, to them, that prospect is worse than continuing? Accepting this assumption is easier said than done, especially if you are the family member or friend of someone with an addiction that may have directly impacted you. There are particular approaches that can be useful for families set out in the next chapter. For many people the first steps towards change include connecting with someone or something that instils hope, allowing you to believe that maybe things can change. Sometimes the need to change comes from some external force, such as a criminal charge in the case of drug use, or pressure from others. As discussed in the last chapters, most people with addictions recover without professional support, drawing on the social support and resources around them to develop control and change their behaviour. Those who are able to use their own resilience and networks to alter an addictive behaviour tend to have better social support, better education, have experienced less adversity and sometimes have more financial resources at their disposal. For those who do seek help, there are many options available. Addiction is complex, and medical, psychological and social approaches may be more or less helpful at different stages, because as we now know, there are biological, psychological and social aspects to the ways that addictive behaviours develop and progress. Treatment for addiction is at its most effective when it is delivered within a framework of compassion and understanding. Offering respect, empathy and a collaborative, non-judgemental approach is the basis of all therapeutic relationships (Rogers, 1961). People with histories involving traumas from bullying and isolation right the way through to severe and repeated interpersonal abuse are not going to trust very easily, and are highly sensitive to any sign of criticism or rejection. They are also skilled at assessing your emotions and motivations as a result of their skills in analysing unpredictable environments, and are likely to pick up on any hints of inauthenticity, boredom or ‘winging it’. Effective treatment is about considering individuals’ behaviour in light of ‘what has happened to them’ and ‘how is that affecting them now’ rather than ‘what is wrong with them’. The power of these relationships cannot be underestimated, and may be someone’s first experience of genuine warmth and care. This ethos does not mean accepting every aspect of behaviour without challenge. It is just that a therapeutic relationship provides a strong-enough connection within which to challenge empathically, and support someone to place limits on the parts of themselves they are seeking to change. These relationships provide the sensitive and responsive social scaffolding that hold the pieces of someone’s imagined future in place while they reach towards them. Sometimes, a useful conversation is all it takes to tip the balance for someone to begin to make changes. A compromise position on the ‘addiction as disease’ versus ‘addiction as entrenched learning’ dichotomy is the comparison of severe addiction to a chronic health condition like diabetes or heart disease. This is a way of making the medical and psychosocial models fit more closely, and recommends suitable treatment in the form of ‘self-management’, which aims to manage wellbeing and sustain recovery. Although some of the difficulties of seeing addiction as a disease still stick, this can be a helpful way of thinking about recovery for those who prefer to see their difficulties as a manifestation of illness. Learning how to manage a disease is about addressing any obstacles that get in the way of change. For diabetes, this might be about diet and exercise. For addiction, it could be education, employment, housing, rebuilding relationships or addressing other mental health difficulties. It offers a broad church: recovery under this approach could mean abstinence, but also harm minimisation, controlled use or stabilisation. There is a long-standing and passionate debate over the merits of abstinence versus a ‘harm reduction’ approach in the field of treatment for problematic drug use and addiction. Harm reduction advocates accept that some people will continue to use drugs, and so should be supported to use more safely, often with a goal of gradually reducing and stopping use. Abstinence advocates see harm reduction as ‘enabling’ drug use, and believe that abstinence is the only option for ‘true’ recovery. Abstinence-specific social support is important in promoting recovery from severe drug or alcohol addiction (Litt et al., 2007), but both options are important in an integrated view of recovery, and the best goal (and the one most likely to work) is the one chosen by the individual. There are three broad goals of harm reduction: ‘staying alive’, which includes interventions around overdose prevention and safe injecting;‘ maintaining health’, such as providing treatment for blood-borne viruses, needle exchanges, opiate substitution treatments (described below), drug testing in festivals and clubs and safe injecting rooms; and ‘getting better’, which is where the psychological and social interventions come in, integrated with pharmacological approaches where necessary (Wodak, 1994; Kellogg, 2003). All start with the need to meet the person ‘where they’re at’. Clinical psychologist and author Andrew Tatarsky has integrated harm reduction with psychotherapy (2003), and emphasises that the middle ground of this debate may be ‘abstinence eventually’, as any gradual steps towards this possible goal are steps in the right direction. This has been defined as ‘gradualism’ by clinical psychologist and author Scott Kellogg (2003). Opiate substitution prescriptions such as methadone and buprenorphine (Suboxone or Subutex) provide a vital way to stabilise a chaotic lifestyle focused on chasing the next fix, and also try to shift sensitisation to tolerance by prescribing the substitute drug in a scheduled and regular dosage. They are slow-onset and long acting, so reduce the highs and crashes of heroin (Clinical Guidelines, 2017). A drug called naloxone blocks opiate receptors, and when administered reverses the effects of heroin, and can therefore reverse opiate overdose. National campaigns have ensured access and availability of this life-saving drug for people using heroin, so that those likely to be first on the scene at an overdose have a way of preventing it. Medicines have also been developed to address other symptoms associated with addictive behaviours, such as cravings and withdrawal symptoms, although a review of these is beyond the scope of this book. Where the medical model struggles is in the ‘what next?’ Pharmacological treatments in conjunction with harm reduction interventions are highly effective at stabilising chaos and providing a pathway for people to access care and support. However, as the chaos subsides, individuals sometimes experience a deterioration in their mental health, as the reality of their lives and history catches up. One of the criticisms of opiate substitution treatments (OST) is that they ‘park’ people, and swap them into a different form of drug dependence. They can be inconvenient, making people travel to clinics or pharmacies to pick up their dose, where they may be required to take it in front of a pharmacist. This can feel stigmatising. However, for many, this is better than the alternative of street addiction, and they are undoubtedly life-saving medications. OSTs are a way of providing stability, to give you a chance to look at the other parts of your life that need some work, but they can’t help with everything. This is where psychological and social approaches, integrated with medications that can maintain the stability, come into their own. Rather than seeking to diagnose, psychological interventions are based on a formulation of someone’s difficulties. This is an explanation of how the difficulties have developed and what maintains them, integrating information from the body, emotions, thoughts and social aspects of a person’s experience. It combines the therapist’s knowledge of psychological theory and evidence with a person or family’s own thoughts and understanding of what is going on, and how the situation has developed. It’s a bit like jointly doing a jigsaw puzzle, to show the overall picture of what is going on. Discussing and agreeing on a formulation can be an intervention in itself, as it is a chance for the individual to feel understood and an opportunity to see how some difficulties might relate to each other. It provides a map for how best to proceed. There are many psychological interventions, including behavioural and cognitive behavioural approaches, which look at how our interpretations of events influence our actions. There are also therapies that have integrated Buddhist practices of acceptance, compassion and mindfulness, and many strategies for learning skills to regulate emotions and manage impulses. These are more or less useful at different points along the spectrum of addiction severity. The more severe and compulsive the addiction, the more automatic the behaviour, so interventions like cognitive therapy, which asks you to think and reflect, will be difficult. At this stage, practical interventions focusing on behaviour and environment are more helpful, because they provide concrete instructions for what to do in different situations. For instance, if your alcohol binges are triggered by receiving your Friday pay cheque, set up direct debits to make sure your bills go out, give your bank card to a (very trusted) friend or family member, or make a plan to do something incongruent with meeting friends in the pub, such as going to the gym. If X then Y. These are useful interventions in the short term, and provide a chance to find some structure, impose a little order on the chaos. However, they are not sufficient: many people talk about the intolerable boredom and isolation that awaits them when they have cut off contact with drinking or using friends, and have stopped frequenting locations where they know they will be tempted. If the object of addiction has been filling a void, cutting off contact with it might be healthier, but leaves you exposed to the void itself. At this point, cravings might increase, and there might be a dip in mood: ‘I thought I’d feel better when I stopped but I feel worse! This is worse than before! What’s the point in stopping at all? ’This brings us to the ambivalence at the heart of the addiction, and exploring this carefully is a way to make sure that our motivation doesn’t falter in pursuit of the goals that we truly want, rather than the ones that we are being directed towards by our overactive incentive/reward system. So on the one hand you’re annoyed that people are making a big deal about this, but on the other, there’s been a few times you’ve been worried . . . things have got a bit out of hand, and that’s not really how you see yourself. Its creators, professors of psychology William Miller and Stephen Rollnick (2013), originally developed it through work with problematic alcohol use, and there is now evidence for its use across alcohol, nicotine, drug and gambling addictions, as well as in promoting other areas of positive behaviour change. Other ways of exploring this ambivalence come from Gestalt and Schema therapeutic models (Nevis, 2000; Young et al., 2003), which open up the internal dialogues that go on when we are in conflict with ourselves, and aim to strengthen the healthier, coping side of ourselves. If our needs are met, we develop into fairly healthy and responsible adults, able to cope with the majority of life’s ups and downs without having to hide from, compensate for or submit to raw emotional needs. In brain terms, we have well-developed and adaptive prefrontal cortices. If some emotional needs were not met, we might recognise different facets to our personalities, and sometimes these parts of ourselves may be in conflict with each other. One way of understanding this is to imagine you are facing a decision about whether or not to follow your addictive behaviour. You might have conflicting emotions about this. What happens if you give each of these a voice? What does the frightened part of you need? What about the angry part? Now imagine the part of yourself that you want to be, or if that’s too difficult to imagine, think up a wise and compassionate companion, who cares very deeply about you and only wants the best for you. What does this part think that you need? One potential difficulty with these approaches is that the individual needs a certain amount of awareness and insight into the things driving the addiction. The more unconscious and automatic the drivers, the more likely it is that attempts to change might be derailed once the person is at home and surrounded by the ‘sirens’ of addiction pulling them towards the old behavioural patterns. Because our reward system very efficiently establishes cues signifying reward as hugely preferential, it’s as though our brain says ‘yes’ to the reward while we are still slowly and consciously deciding what we want to do, even if our conscious decision is ‘no’. The stronger this bias, the more likely we are to relapse, unless we can strengthen our resistance to these unconscious urges. How do we manage things that we are not conscious of? As described earlier, when addictive behaviours are automatic, seeking to control your environment as far as possible is a good first step, known as ‘stimulus control’. Knowing that there are two processing systems in the brain, the faster ‘impulsive’ system and the slower ‘reflective system’, means that we can try to develop techniques that tap into both of these systems in order to change behaviour. The reflective system responds to reason; the impulsive system is more erratic, and jumps in to sort out emotional problems or when it has been signalled by the cues in the environment. The impulsive system is always scanning, like an automatic radar that is always on, looking out for things that are important or significant for us. This is useful, most of the time. We are immersed in information, and if we tried to pay attention to all of it we would be frozen to the spot and overwhelmed (interestingly, this is what appears to happen for people with autism, who don’t filter information in the same way as most, exposing them to a maelstrom of emotion, noise and information which leads to sometimes unusual behaviours as a way of maintaining control of what feels like a hurricane).With addictive behaviours, the cues are compelling because they started out so emotionally relevant. To manage them, we need ways of shortcutting the reward system, and training both ‘top-down’ (reflective) and ‘bottom-up’ (impulsive) processes, harnessing motivation for recovery just as it has been harnessed for addiction. Our reflective system has limited attention; it’s as though our attention is a spotlight which can come under conscious control, but which is taken over and focused by the demands of the impulsive system when it sees something it wants, with the persistence of a toddler who is trying to get your attention. Look here! Look! Look! Where our attention is directed dictates what we do, unless we have ways of consciously redirecting attention to where we want it. So how do we train our brain? One way of ‘kicking out’ the entrenched addictive behaviour is by giving the reward system some better alternatives, using the same processes of operant conditioning that got us into the mess in the first place. Behavioural interventions provide rewards or encouragements for specified behaviours, and have been used to modify behaviour in many settings, such as through the use of star charts for children. In drug and alcohol treatment, Contingency Management (CM) is an approach built on this idea. For example, we know that people who complete treatment are more likely to stay in recovery, but dropout rates are high. Treatment is frequently challenging, and sometimes it is easier to slide back into old patterns, which means that treatment must use the tools of reward. Rewards are agreed with the person, but studies have included things like vouchers, more flexibility around prescription arrangements, or other forms of support. Contingent rewards have led to people being more likely to stay in treatment, to stick to treatment plans and reduce their substance use (Petry, 2000). We all do things because we want the reward at the end of the work we put in, and even when we know we want it, motivation can falter. Contingency management is highly effective, but its use across services is still patchy as a result of poor political will and media stories about ‘rewarding junkies for taking drugs’, the subtext once again being that drug addicts are bad, worthless, and should be punished, not rewarded. This is now shifting in some areas because of the strength of the results. The benefits to people with addictions and the communities around them of using evidence-based treatments are clear. Other approaches like the Community Reinforcement Approach integrate systems of reward to alter the person’s social environment, so that social networks can begin to reinforce more appropriate and non-addictive behaviours (Smith et al., 2001). Can we train the brain to find reward cues less attractive? There are research studies which have shown that keeping something in your working memory (your immediate memory, the part that you might use when rehearsing a phone number to remember, for example) helps the ‘top-down’ processes, focusing attention on a single goal – ‘When I get to the party, I will ask for a Coke’ – although this strategy may be ineffective if it is faced with a broad net of unconscious cues, falling prey to the ‘ego fatigue’ described in Chapter 2 (Ryan, 2013). In general, when trying to train your brain to manage impulses, the answers lie in setting clear and achievable goals and keeping it simple. Problem solving training and SMART goal setting (specific, measurable, achievable, realistic and time-limited) are ways of developing goals that gradually move towards a preferred outcome. The key here is the gradual shaping of behaviour, because the more you achieve small goals, the more confidence you feel in taking the next steps, the ‘gradualism’ described by Scott Kellogg previously. Perhaps you have been unemployed for a while, and want to get back to work, knowing that if you did, you would have less time for drinking, and would feel better about yourself. The goal ‘get a job’ is huge and might seem overwhelming, and the more overwhelmed you feel, the more likely you might be to stick your head back into the sand (or the bottle). If your goals are smaller and more achievable, you will have a greater chance of success. For example, look up the jobs pages and decide which jobs you can apply for. Pick one. Ask a friend to help you fill out the application form. See if there is any voluntary work you can do to get more experience. Set yourself deadlines, so that you know when the goal has been met, for example, ‘I will find three jobs to apply for by Sunday’. The same applies to addictive behaviours. The goal ‘stop using’ is complicated, but the smaller goals of ‘have two days out of the week where I don’t use, find a self-help group, contact a self-help group, tell someone I need to stop using, find the number of the local drugs service, contact the local drugs service’ are all infinitely more achievable, and allow small steps to be taken closer to your goals. Just knowing how our brains work can also be helpful. Our brains are tricky, and we can sometimes judge ourselves harshly for processes that are automatic and not really under our control. The clinical psychologist Frank Ryan has pointed out that if you are trying to change an addictive behaviour and have noticed how often your attention gets pulled to the cues of addiction – the alcohol aisle in the supermarket, the tinfoil and spoons in someone’s kitchen (these can be significant cues for heroin use), the web page of an online gambling forum – this can feel disheartening. ‘I’m doing all this work but I still can’t ignore it. . . . I must still be addicted. . . . I must still want it if I’m noticing it all the time. . . . I’m going to end up using again. . . . I’m basically still a junkie’. This relentless trail of worry and thoughts about what the ‘noticing’ means about you and your prospects can wear down willpower and make a relapse more likely. What if instead, when you noticed your attention being pulled towards the object of your addiction, you said to yourself, ‘It’s OK. It doesn’t mean anything. It’s just my brain being tricky. I know that I want to change. It doesn’t mean I will give in’, and gently guided your attention back to where you want it. The preferential processing associated with addictive behaviours is a normal quirk of the reward system, not a sign of your weakening commitment (Ryan, 2013). This process of training one’s attention is at the core of mindfulness meditation, which has been promoted for years (millennia if you go back to the Buddhist teachings) as a way of finding balance and enhancing conscious control. Meditation increases awareness of the processes of mind, and teaches acceptance of your present experience. Through this practice in disengaging from automatic reaction, it counteracts the ‘wanting’ of our ‘hungry ghosts’. It provides a way to step outside the intrusion and compulsion that characterise addictive behaviours. It teaches us to train attention, and every time attention is pulled away, to gently guide it back, as well as to practice awareness of moment-to-moment experience without judgement. This is grounded in an ethos of compassion, so that you don’t blame yourself for these reactions, but move towards accepting and detaching from them. The practice of ‘being aware of whatever is there’, on a background of compassionate curiosity and acceptance, also improves our ability to notice some of the unconscious needs that maybe driving the addiction. What does the craving feel like in the body? What thoughts drift through the mind? Sometimes reaching for the food, drug or distraction is a way of avoiding ‘whatever is present’, and learning alternative ways of meeting those underlying needs brings them under more conscious control. We know that the processes leading to and maintaining addictive behaviours are influenced by our beliefs and attitudes. Cognitive Behavioural Therapy (CBT) is a therapy designed to make the individual a therapist of their own experience, by observing their behaviour, understanding its triggers (where we are conscious to these), and recognising the influence of thoughts and beliefs. Beliefs about addictive behaviours are important. It might be about our self-efficacy: “I can’t do this without drinking” or “I can do this”; our expectations of what the behaviour will give us: “I will feel better . . . I will not feel like this . . . I will be in control . . . I will not feel”; giving ourselves permission: “Once won’t hurt . . . I won’t take very long . . . I deserve it” (Mitcheson et al., 2010). The way that we think influences how we feel, our physical responses and our behaviour. 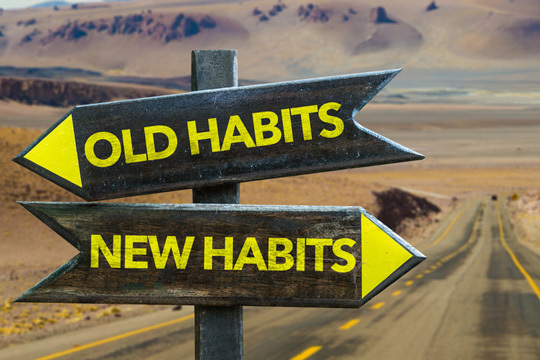 Patterns of thought are habits just as much as addictive behaviours, and if we are used to our thoughts sliding into particular grooves, this can be hard to shift. If we feel low, it’s as though our thoughts put a negative filter on everything we see, so we tilt towards the pessimistic view of our prospects, our potential, ourselves. If we feel angry, we see injustices and personal slights wherever we look. CBT explores these patterns and the relationships between them, and helps to separate things out. We are not the same as our thoughts or emotions, and taking a step back to challenge them can help us to feel more in control. If you are doing a course of CBT, you and your therapist might set up behavioural experiments to test out particular beliefs. You might think ‘I can’t go out without a drink – if I do, I won’t be able to talk to anyone and everyone will laugh at me. I’ll be humiliated’, and set up an experiment in which you agree to test it out. You might arm yourself with some ideas about starting a conversation and perhaps some trusted friends to help you out. If you find that your worst fears aren’t realised, you will have a huge confidence boost. If the experiment falls flat, it is just as useful, so that you can think about what went wrong and adapt your approach next time. Learning about how our interpretations influence our emotions and behaviour can help us to understand the cycles of addictive behaviour that can keep us trapped. Emotions, like urges and cravings, act like waves, sweeping over us with different levels of intensity and sometimes carrying us away. Addictive behaviours and emotional difficulties might have branched out of the same roots of early adversity, or because long-term exposure to an addictive behaviour has influenced the brain’s emotion regulation systems. Remember that when our stress system is on high alert it struggles to think, and it is harder to control impulses. Under increasing pressure, we are all likely to fall back on habitual ways of reacting, so learning emotional control is a vital part of managing addictive behaviours. This is true whether your addictive behaviour has developed as a way of managing emotions, or whether it is your addiction that is playing havoc with your emotions. Drug and alcohol use might depress or heighten emotion, often intensifying the emotions we might be trying to manage. The danger of smoking cannabis to relax and feel less anxious, or using heroin, or drinking alcohol, is that when withdrawal kicks in, anxiety and agitation will increase because of the way that the substances are metabolised. These issues can be a particular problem for people using benzodiazepine drugs like diazepam to cope with anxiety, as tolerance for these drugs builds rapidly, and they start to create rebound symptoms of anxiety and insomnia when withdrawing from your system. If you don’t recognise these as withdrawals, you might find yourself trapped in a cycle of taking more of the drugs that are causing your symptoms. If substance use has become a way of avoiding feelings, and has gone on for a long time, experiencing your own emotions can feel like you’re ‘going mad’, because they seem so alien to you. Although this is hard to tolerate, it also provides an opportunity to get to know yourself, learn about how and why you feel this way, and learn to surf these waves. Recognising how we feel is the first step towards managing emotions, no matter how big the waves feel. We need to learn about what we really feel, and what we really need, because it isn’t the object of addiction, no matter how compelling that may seem. Something as simple as labelling an emotion, no matter how overwhelming, can give you a boat to ride out the waves: ‘I feel overwhelmed’; ‘I’m really anxious’; ‘I’m so angry’. It gives you a chance to ask, ‘What can I do about this?’, rather than feel swept up and blindsided by the emotion. And what can you do about it? Sometimes it’s about considering how much control you might have over the situation and deciding what to let go of. Although this can be difficult, turning towards difficulties rather than avoiding them allows you to consider which problems you can tackle, and which to let go of for the time being. Low mood and restlessness may be heightened by boredom and isolation, so giving yourself a schedule, and thinking about activities that give you a sense of pleasure or achievement is useful – it is a strategy known as ‘activity scheduling’ in therapy terms. These strategies can be enhanced by finding encouraging phrases for yourself to remind you of what you are trying to do in changing things for yourself, such as ‘I can manage this, I have survived so much already and I will survive this too’; ‘If I eat this I will feel better in the short term, but it will not last. I want to feel better in the long term’. If you can, ask people you trust to give you positive and encouraging statements too, to act as evidence of your own strength when this is hard for you to find yourself. The practice of ‘urge surfing’ is drawn from mindfulness, and can be used in response to both cravings and emotions (Marlatt, 2002). This is a useful exercise, particularly if you feel frightened of your emotions and their consequences. It’s just about staying with the emotion, not trying to hide from it or change it, accepting it for what it is, and staying with the rise and fall, like a surfer riding a wave. You might fall in every now and then, but that’s OK, it’s just about the practice, and each time you find the way to balance and surf the wave, you are training your brain to pause before reacting, and showing yourself that you are able to cope. Relaxation strategies, like training your breathing, or finding strategies that soothe your senses (like calming pictures, soothing smells or soft things to touch) are useful ways of teaching yourself to manage the physical manifestations of anxiety and agitation like a racing heart and tension. Art, music and dance may be ways of expressing things that you don’t yet have words for. Slowing and deepening your breath triggers your body’s parasympathetic nervous system, the antidote to the ‘fight or flight’ response. Although it might sound easier said than done, if you learn to control your breath, you learn to control your mind. Some of this is just about looking after yourself – talking to yourself gently, making sure that you get enough sleep and that you eat well. Change sometimes starts from the belief that you deserve for things to be better. Managing emotions and learning how to control impulses are both key components in changing addictive behaviours, but changing your lifestyle is rarely a smooth process and there are always challenges along the way. Sometimes this might come from those internal unconscious biases, sometimes from external social and cultural pressures not to change. If changing your behaviour involves breaking away from a group that you have been a part of for a long time, the group might resist this ‘new you’. The connection between stress and relapse has been explored for decades, most notably by the late, great Professor Alan Marlatt, who along with many colleagues, shifted the view of relapse from the ‘don’t talk about it or you’ll make it happen’, to a nuanced and evidence-based programme of understanding the factors that contribute to relapse in order to develop skills to prevent it. This approach is useful not just for addictive behaviours but for other mental health difficulties also. He and his co-researcher Katie Witkiewitz outlined a ‘dynamic model of relapse’ in 2004, which moves away from understanding relapse as a linear ‘this happens and then this happens’, to a recognition that there are a number of complex and interacting factors determining whether someone uses or doesn’t use in any given moment (Witkiewitz and Marlatt, 2004). Recovery is rarely a smooth road: change tends to happen gradually, although the complexity of the system leaves room for the stories of people who just wake up one day and stop for good. To move away from any addictive behaviour, life without the addiction needs to be fulfilling and rewarding. We know from Chapter 3 that people whose lives have been a struggle from their earliest days are more likely to seek less healthy ways of coping with them. Finding some pleasure and purpose in life is a way of ensuring that the pull of the addictive behaviour will be met by a stronger pull from secure relationships, purposeful activity, a robust sense of self-esteem, and a life worth living. It is about building ‘recovery capital’, the internal and external resources that are required to make and maintain changes (White and Cloud, 2008). Changing addictive behaviours may involve a shift in identity, more profound if the addictive behaviour started when young. Even for those whose brains have been more significantly affected by long-term drug or alcohol use and the self-neglect and poor health that builds up alongside this, some change is possible, although more external help may be required. Alan Marlatt and his team recognised that if change is to be sustained, it must be a long-term process, and access to support should continue beyond the weeks or months usually offered by treatment services. This is where social and community support can be crucial, providing a safety net to catch and consolidate those steps to change, strengthening and supporting a person’s new healthier identity. - Jenny Svanberg is a Consultant Clinical Psychologist. She worked in NHS specialist addiction services in both Central and Western Scotland for nine years, and her writing is informed by her clinical experience. - The Psychology of Everything is a series of books, published by Routledge, which debunk the popular myths and pseudo-science surrounding some of life’s biggest questions. Discover more at https://www.routledge.com/The-Psychology-of-Everything/book-series/POE. Find more chapters from the series on our site, along with a review. Our editor Dr Jon Sutton will be chairing a discussion panel at the launch event in London on 15 March.